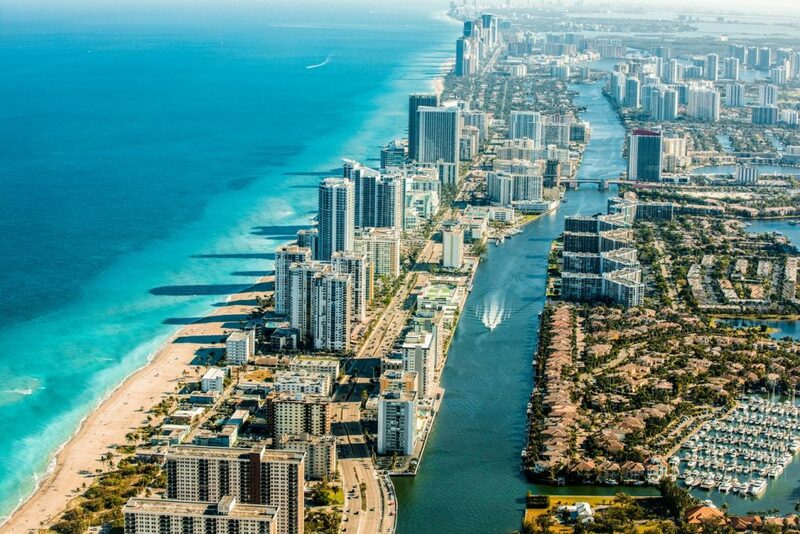 Miami City in Florida is one of those destinations you just can’t help falling in love with – whether you want to or not! 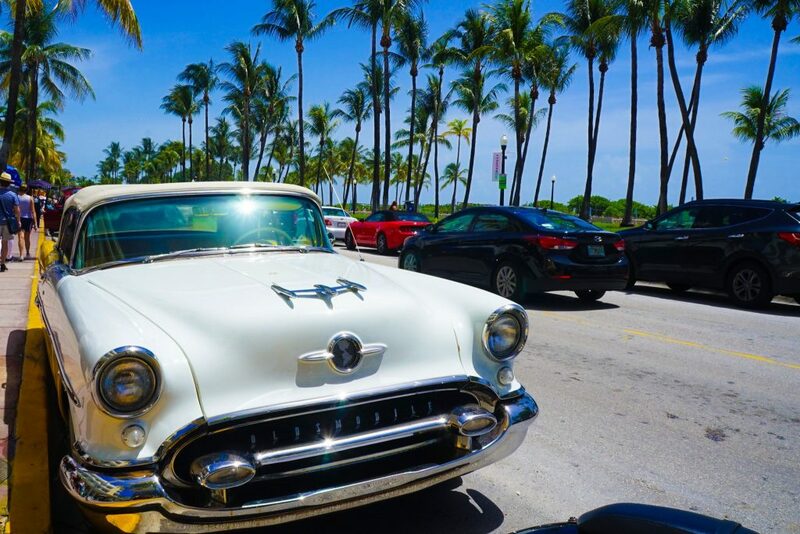 With endless expanses of white sand beaches, intriguing art-deco masterpieces, an innovative food, and arts scene – and not to mention the explosive nightlife – its a safe bet you will find plenty of fun things to do in Miami. A city to see and be seen. 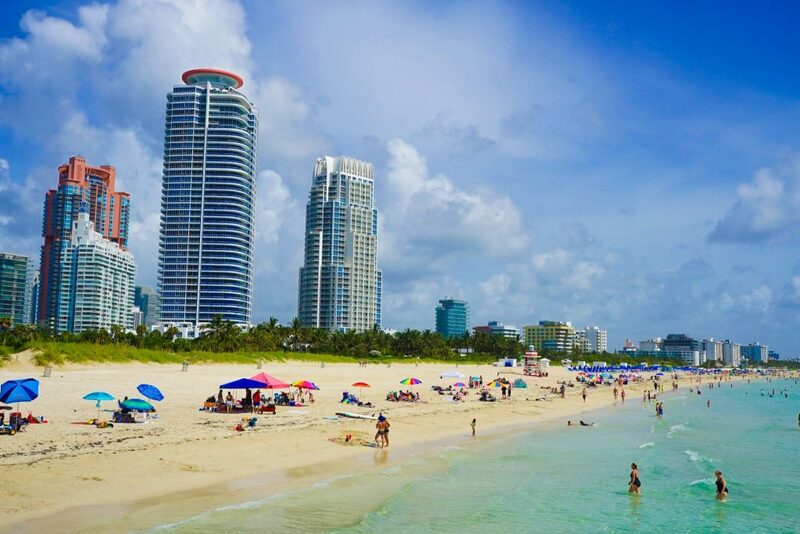 Miami’s relaxed laid back attitude – stemming from its tropical location and strong Latino influence – endears it’s to visitors who can spend all day exploring green spaces and beaches. 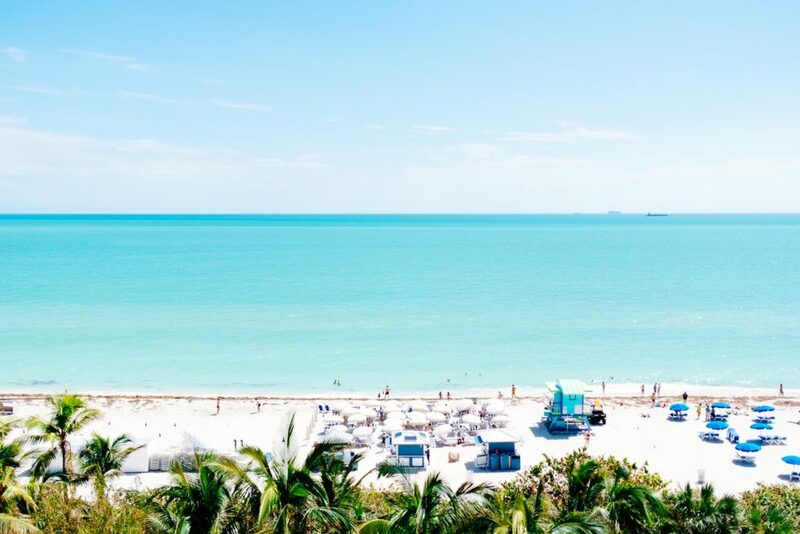 Many visitors find it hard to drag themselves away from South Beach – the ultimate tourist hub – but trust me, you will want to make at least a few visits to the mainland to take in all the Miami has to offer. 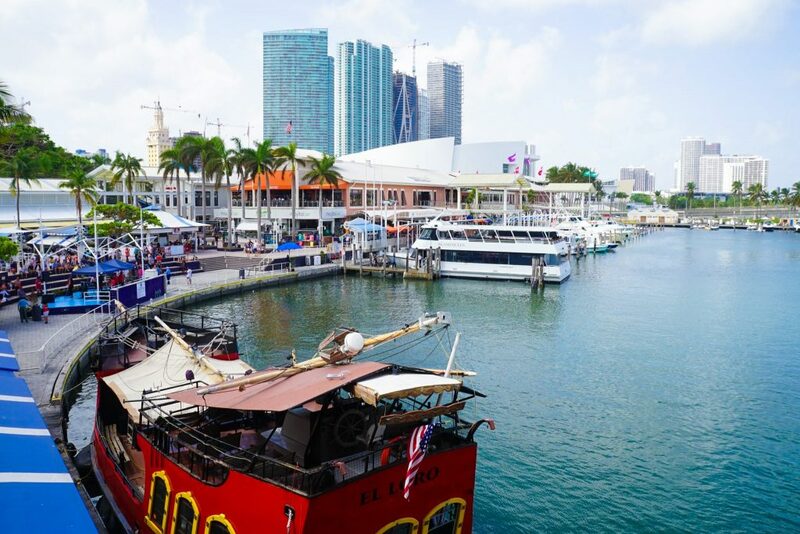 The Magic City like no other in the United States – or the world – here are the ten top things to do in Miami to convince you to visit! Connected to the mainland of Miami by a series of bridges – the Miami Beach island feels a world away from the hustle and bustle of the city. 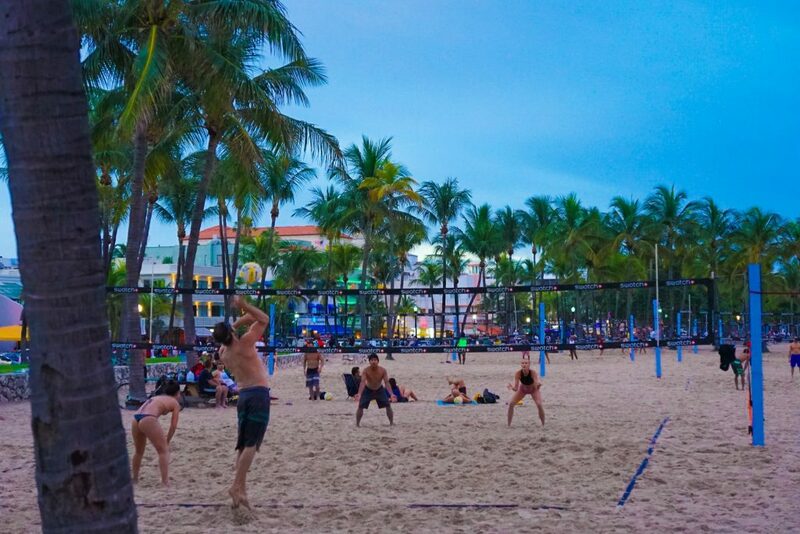 With over 9 miles of beaches, there really is something here for everyone from the palm-fronted Lummus Park to the international South Beach. 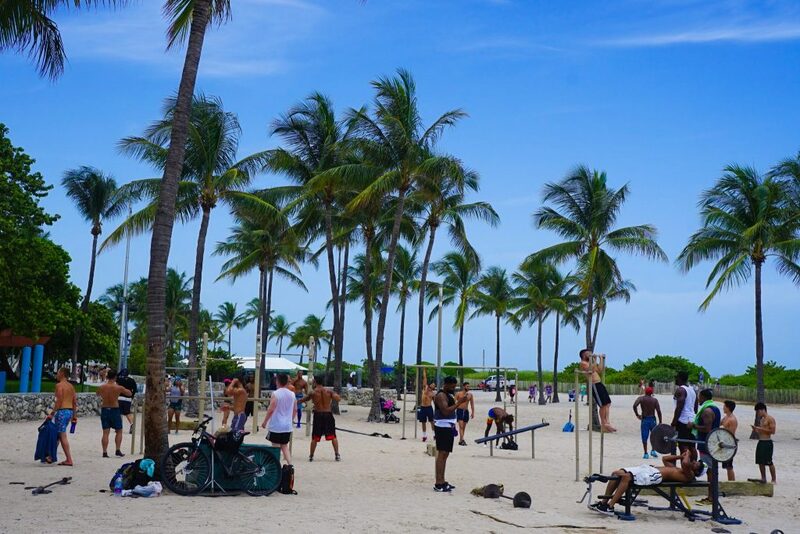 This is Miami at it’s greatest and no matter what else you do, the beach should be top of your agenda. So go, grab your beach chairs, umbrellas and beach towels (available for free for SoBe Hostel guests) and relax. Famous all over the world – and yet, somehow not a UNESCO World Heritage site yet? 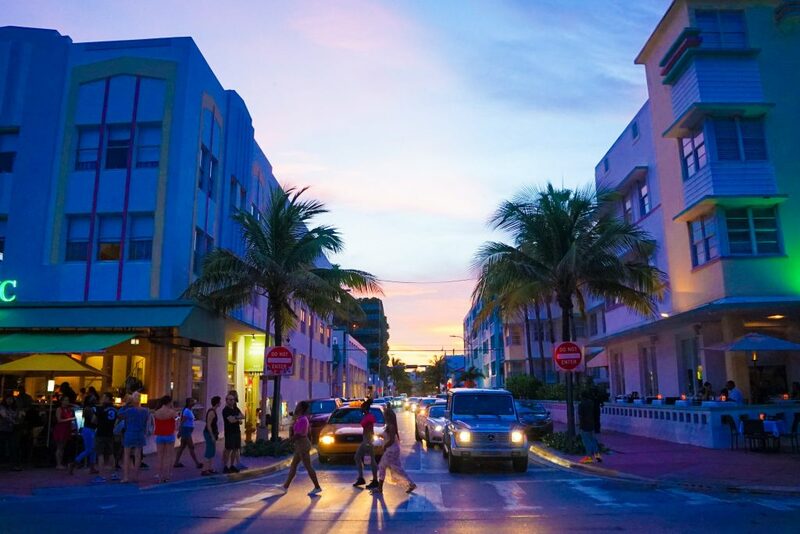 – the eclectic collection of Art Deco buildings in South Beach explain why this neighborhood is often called the American Riviera, or more simply just an Art Deco Playground. Wonderfully preserved and today housing interesting boutiques, galleries, and restaurants – you can, and should, spend hours wondering this neighborhood. If the heat of the day gets to you, you can always return at night when they are all lit up – and the city really comes alive! If you are really into Art Deco architecture there is also an Art Deco visitor’s center next to the beach which runs tours – and you can even stay in the luxurious Art Deco Hotels in South Beach! The Bayside Marketplace is a uniquely Miami attraction, a farmers marketplace on the edge of Downtown Miami. Located right next to the American Airlines Area (and therefore perfect for a pre or post-performance meal) this complex wraps around a Marina with views out to the ports and downtown…not to mention of all the luxurious yachts! 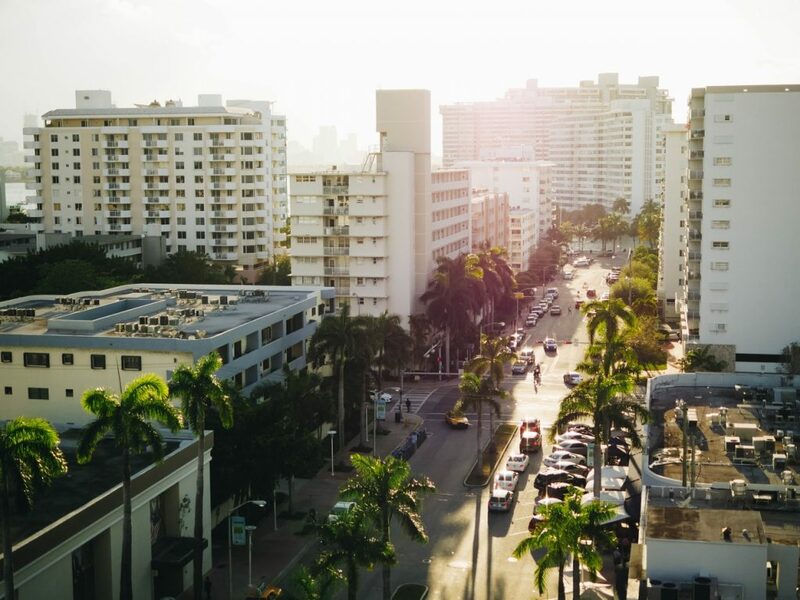 Chances are you will recognize the location as it was frequently used as a CSI Miami and Miami Vice shooting location, but you are more likely to bump into a free gig or street performers here these days. The upstairs sea-food market has phenomenal views but still manages to maintain it’s low-key vibe – with low prices to match. 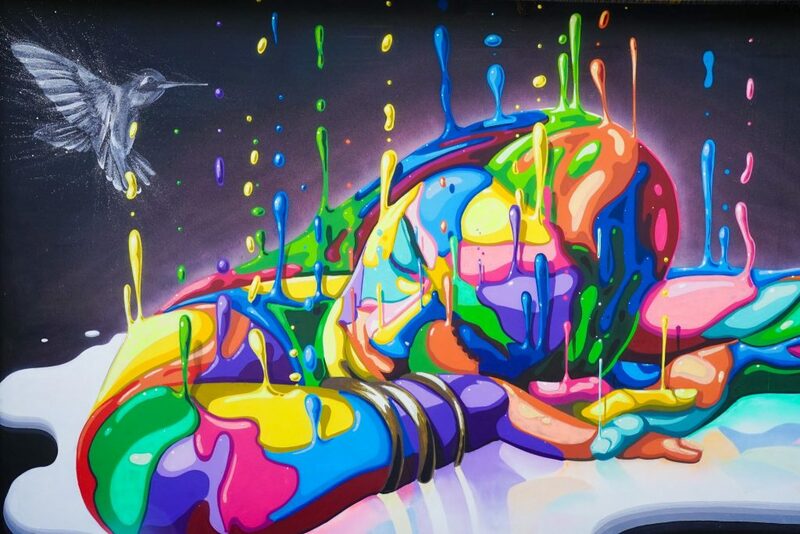 Conceived in 2009 in a run-down industrial neighborhood, the Wynwood Walls have completely revitalized the ailing community with its collection of life-size murals and colorful drawings. The Wynwood Walls are free to enter and contain a constantly rotating collection of artists and their creations – as well as some seriously funky shops and indoor galleries. This is not your normal political street art found in Medellín or Buenos Aires but is fun and slightly irreverent. The surrounding area is now over-flowing with gorgeous works of art, as well as many cool eateries, bars, and restaurants. Come in the late afternoon to avoid the heat and plan to spend a few hours! 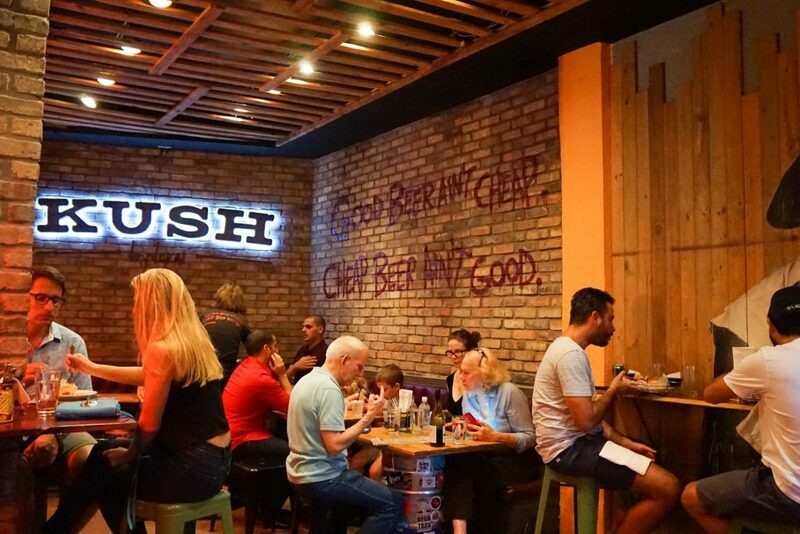 For years Miami was famous for just it’s beaches and nightlife, but recently the Miami food scene has become somewhat of a rising star and an attraction in it’s own right. Forget Copenhagen, Tokyo or Mexico City… This is the new darling of the foodie world! While authentic Cuban and Latino cuisine has always been the mainstay of Miami food, nowadays homegrown chefs are leading the charge to upturn Miami and create a culinary mecca – and so far they are succeeding. New and innovative restaurants and trends are constantly being trialed here, making it hard to pin any one place down. 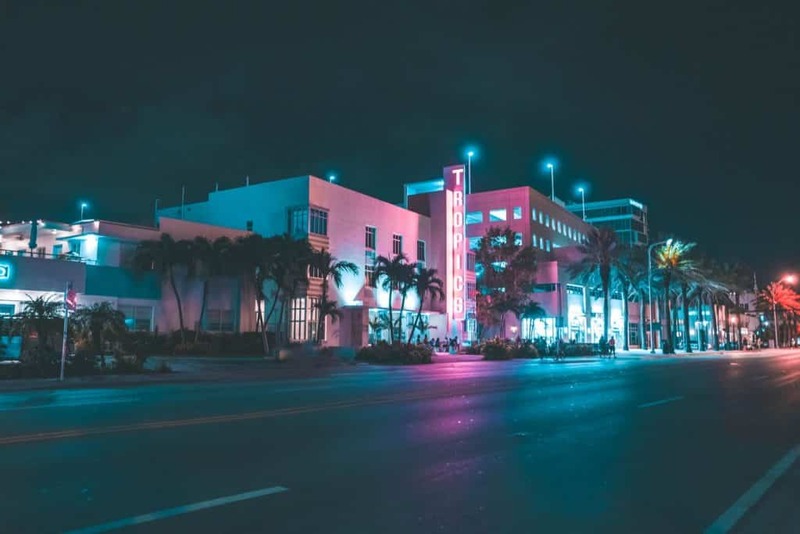 For the trendiest places, however, avoid the Ocean Boulevard strip and head to Downtown Miami, Brickell and Wynwood and look out for a line stretching around the block! Locals will whisper their favorite haunts and new arrivals…if you promise to keep their secret. For an idea of just how innovative the scene currently is in Miami, the 2017 trends seemed to be all about poke, jackfruit, old-school pizza joints, and open fire cooking. 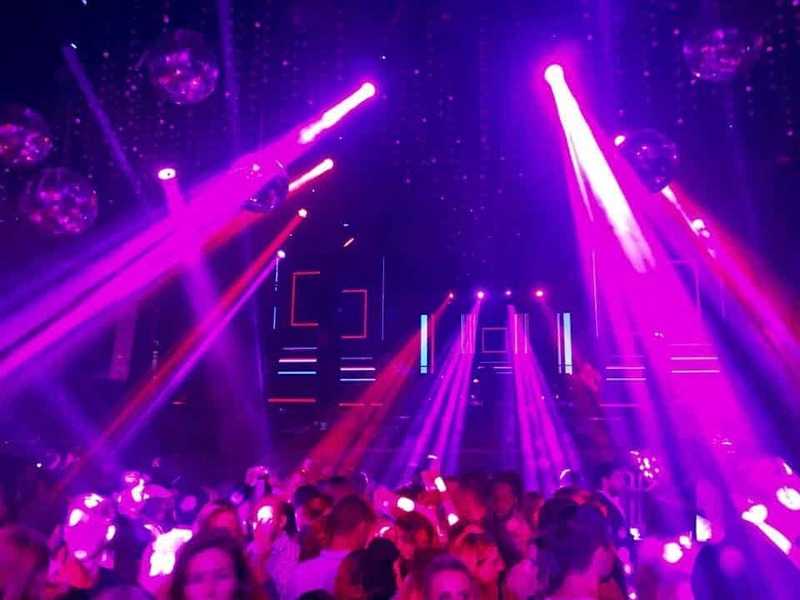 If you have come to Miami to party – you have definitely come to the right place! And nowhere is the party as big, loud and completely bonkers as South Beach Miami. With an impressive roster of international DJs and celebrities appearing nightly at the clubs in South Beach, there is always, always, always something going on. All of the top clubs have cover charges, however, and can get very pricey – but luckily I have previously written a guide on how to party it up in South Beach on the cheap detailing everything you need to know to get yourself on exclusive guest lists for the hottest parties, at a fraction of the normal price! 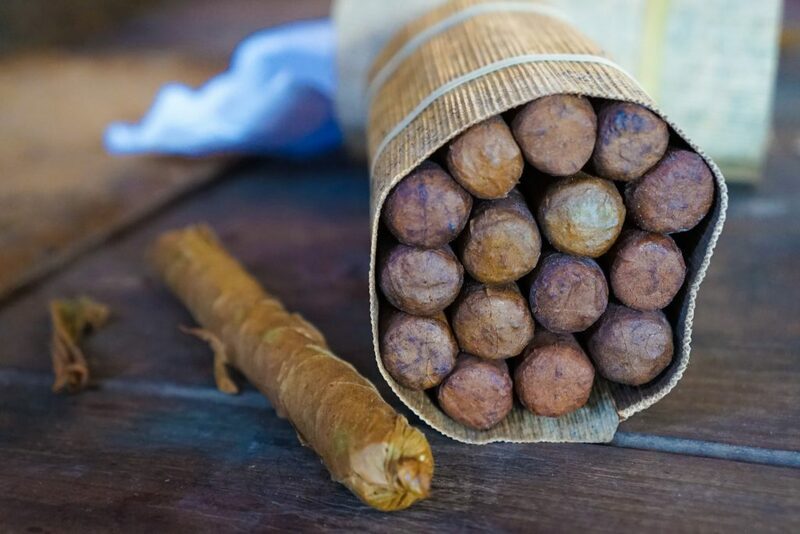 Little Havana is the largest and most famous neighborhood for Cuban exiles in the world – many of who fled during the Revolution or in the years since in search of a better life. 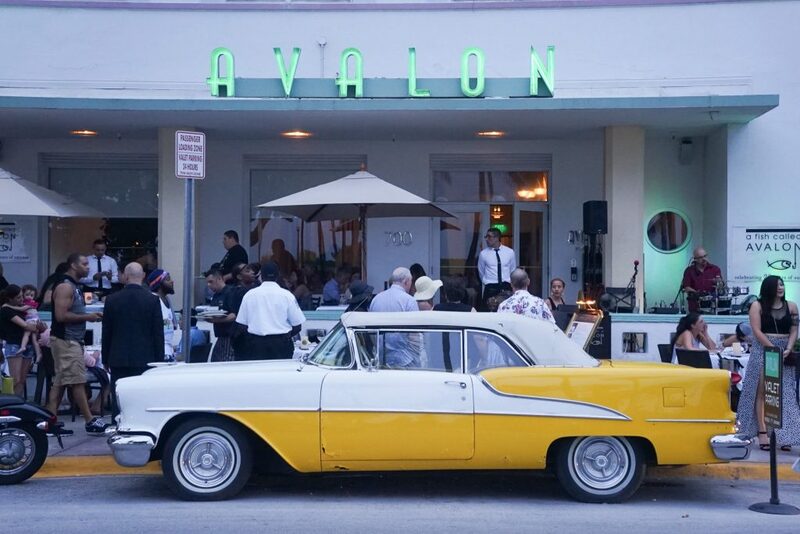 Today Little Havana is a major center of social, cultural, and political life in Miami and is well-known for its street life, food, music, small businesses, and political passion. Yes, feelings still run hot here about the Castro region in Cuba and asking many of the older generations of Cuban’s here will result in an insightful, if one-sided, analysis of current affairs of their island to the South. Many famous festivals occur here annually including the Calle Ocho Festival, Cultural Fridays and the Three Kings Parade. 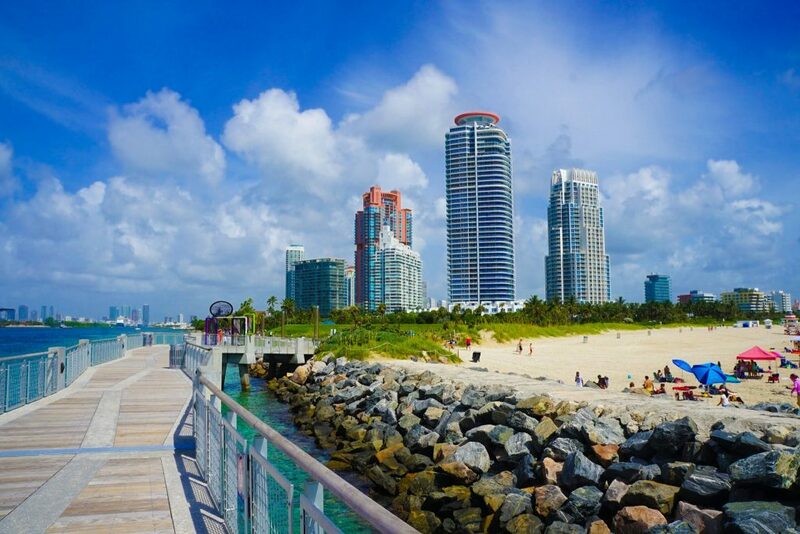 But a visit here is worthwhile any time of year if only to see the famed Calle Ocho, Domino Park, the Versailles restaurant or the Azucar Ice Cream Factory. This is multi-cultural Miami at it’s best, and not to be missed! And if you like it – hey, you might also want to consider these 50 Top Things To Do in Cuba in One Month! World famous, you just can’t leave Miami without making a trip to the nearby Everglades. You can either hire a car in Miami and make your own way or save time and effort by going on an organized tour of the Everglades. The Everglades National Park – recognized as a UNESCO World Heritage Site – is located only a few hours drive away and is a sanctuary for a huge number of birds, reptiles and manatees. 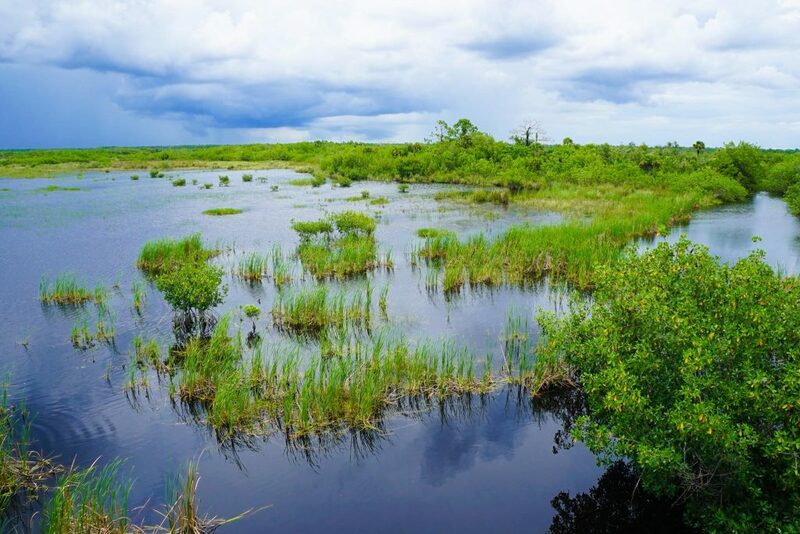 Pure nature mixed with exhilarating fan boat rides…Have you even been to Florida if you didn’t visit the Everglades? 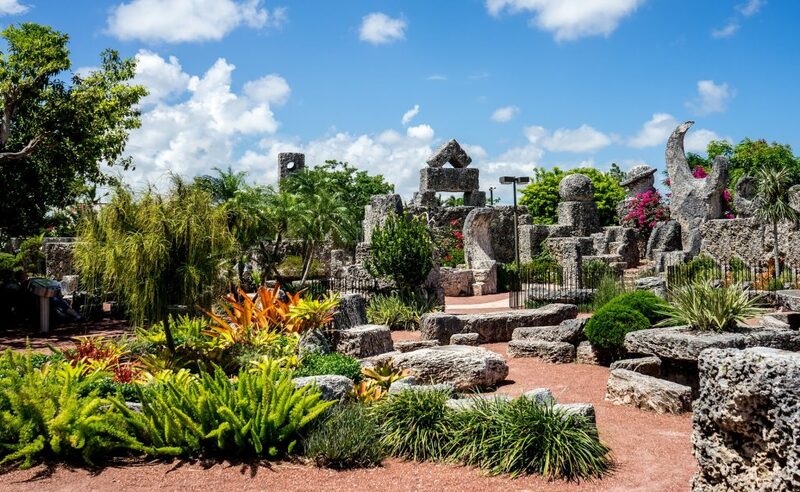 No list of things to do in Miami would be complete without a mention of the Coral Castle. A mammoth landscape of limestone stones – largely formed from coral – this is one of the most famous attractions in Miami as famous as it is beautiful. 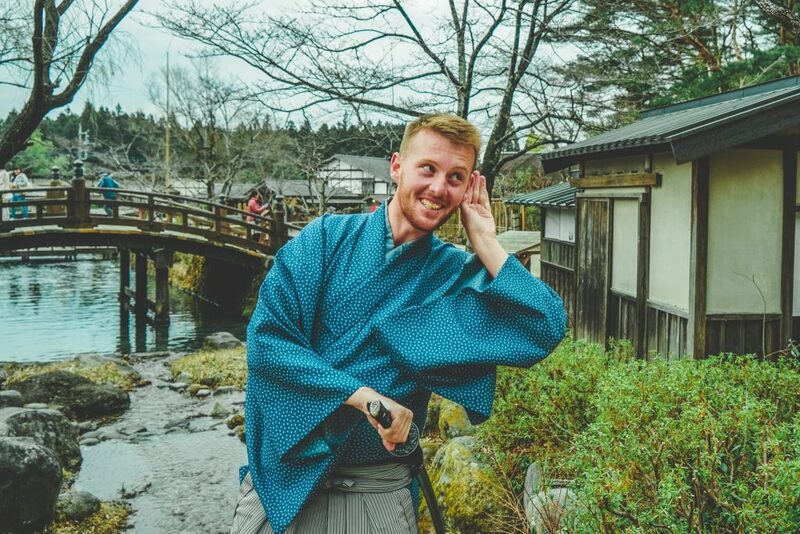 Take your time, wander around and ask about the legends that surround this place… it is said Supernatural abilities play a key role in its creation. People-watching is one of the best travel activities, and Miami has it down to an art form. In this tropical beach-side city, everyone it seems is young, fit and beautiful. This is a city where life spills out onto the street and people want to make the most of the green spaces, beaches, and wide-open boulevards. By day you can watch runners, dog walkers, yoga attendees or more – and at night, see the transformation as everyone gets dolled up to hit the clubs. As everyone seeks to go bigger, bolder and brighter the outfits and personalities become unforgettable. Seriously, you could do this for hours and hours – and I highly recommend it! And there you have it – The Ten Top to Do in Miami. A city that captivates the imagination, has something for everyone and draws you in. Trust me, you are not going to want to leave – and why would you! The secret is out however and prices are rising quickly. Be sure to book your hotel in Miami well in advance for the best deals and locations, but other than that…Life is pretty easy and laid back here. Enjoy! A special thanks to the guys at SoBe Hostel for hosting be (twice) and letting me know all of these amazing places. If you’re in town looking for a great place to meet other travelers and to party – while being super close to the beach this is where you want to be!